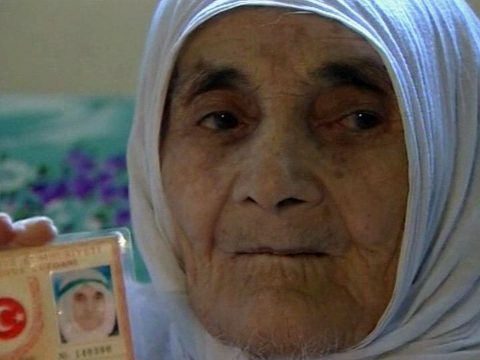 A woman in Turkey, who's thought to be 135 years old, has won her bid to get her pension reinstated. Halime Olcay's birth certificate states she was born in 1874 - the same year Herbert Hoover and Winston Churchill were born. She's currently being living in a remote village near Diyarbakir in Turkey's South-eastern Anatolia Region.